I absolutely love Business & Branding shoots!! I love meeting fellow small business owners and helping them capture images to grow their business! My recent shoot with Katie Eason, owner of 26 Letters Calligraphy, was no exception! 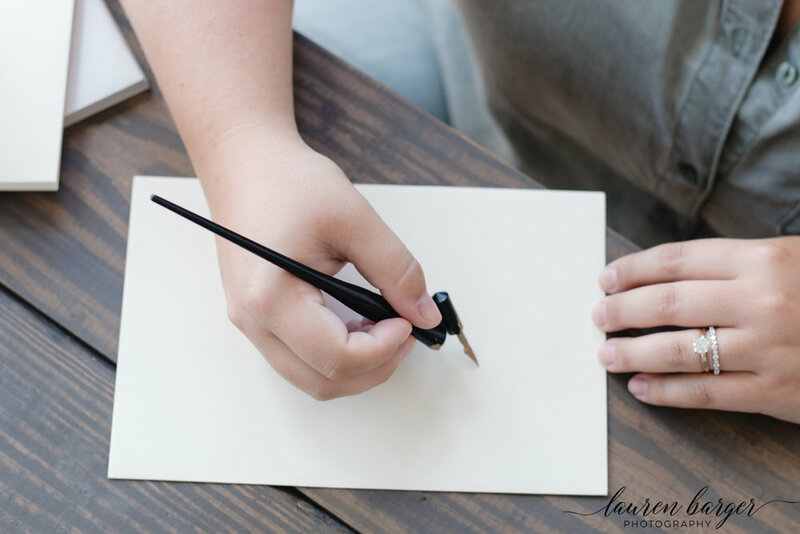 For years, Katie has been running a successful calligraphy business and she is about to rebrand and relaunch her new website!! Our shoot at The Lumen Room- Bryan Street in Dallas focused on capturing branding images to help with her relaunch!